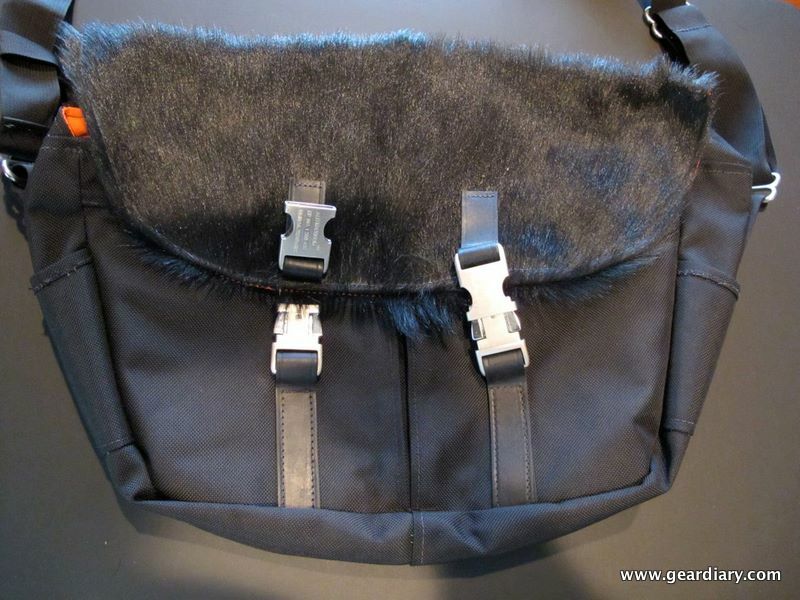 When Judie described the bag she was sending me for review as the “hairy bag”, I was nothing if not curious at seeing it up close and in person. The East to West Messenger Bag is a classic bike style messenger bag with a not so traditional look. Each Tucker and Bloom bag is made in small batches, using traditional European craftsman techniques. Click on through to read my full review of this unique bag and catch a special appearance by Larry G’s take at the end. The East to West Messenger Bag is a full featured messenger style bag for those who want and need function and organization, but who wish to create their own sense of style and break free from the norm. Why is it different? Well as Judie said, it’s hairy. 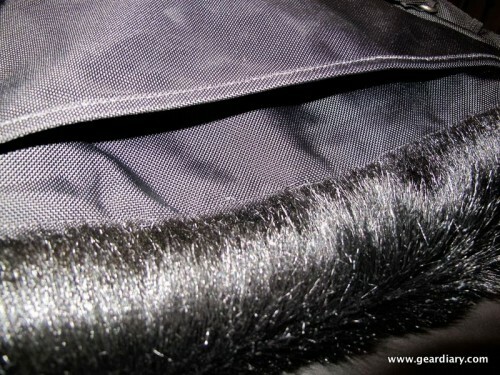 The top of the bag features a shag like fur that certainly makes it stand out in a crowd. 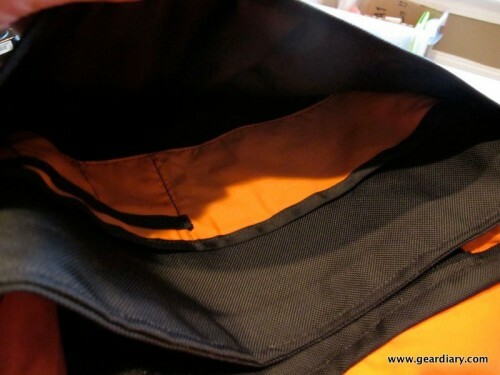 Overall dimensions of the bag are: 16″ x 12″ x 4″; I’d categorize it as a medium. It’s large enough to carry most day to day items. Not too small that you’ll run out of room and at the same time not so big that you feel as though your toting around a small pup-tent. It features side pockets which can accommodate a cell phone, PDA, camera or iPod. The main chamber is unpadded and can be used for files, folder, laptops etc. 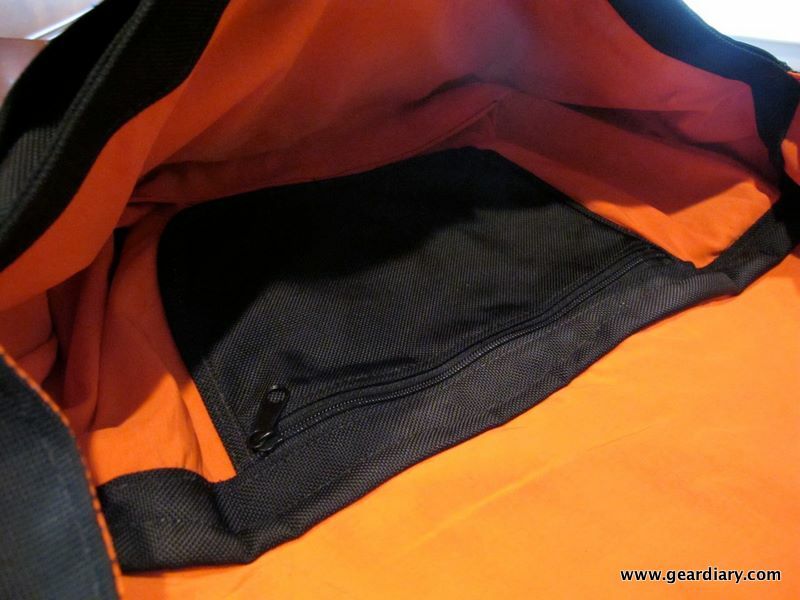 It features a black and orange inner lining. It also features a smaller, zippered pocket where you can securely hide items. 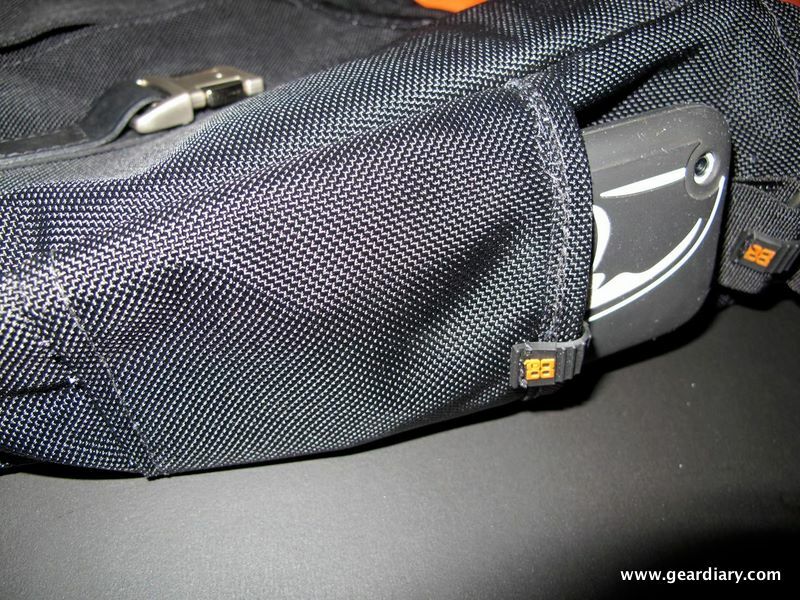 The front organizer panel has pockets for items such as airline tickets, business cards, pens, calculators, etc. 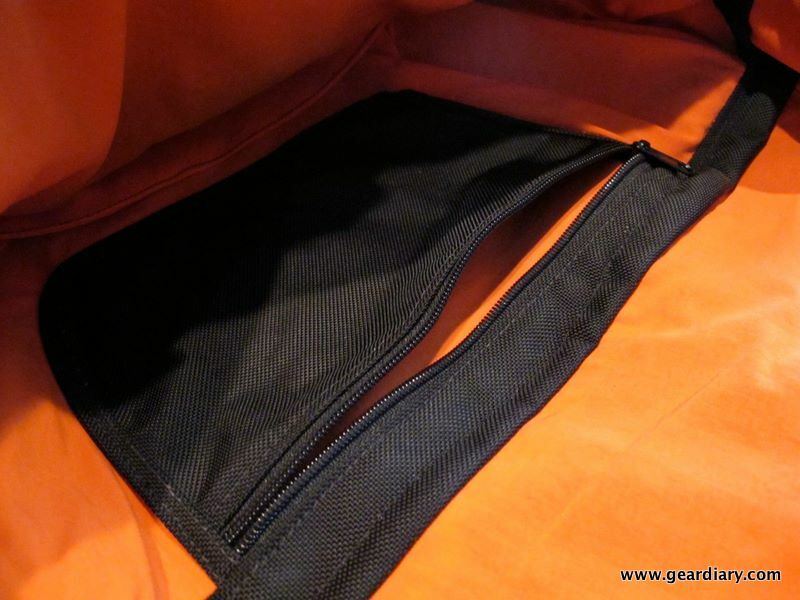 There is a large pocket along the back perfect for storing your newspaper or other items you need quick access to. 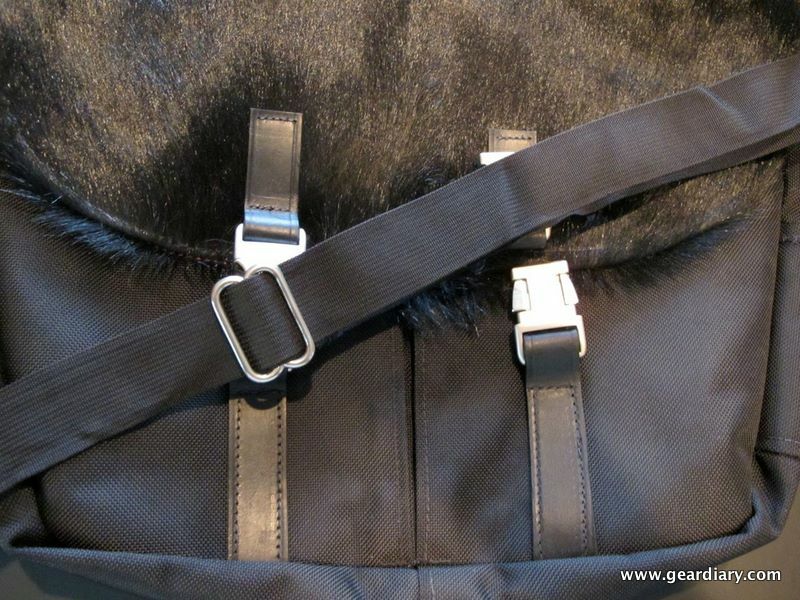 The adjustable shoulder strap is removable and can be used for carrying the bag over your shoulder or via the more traditional sling style method. 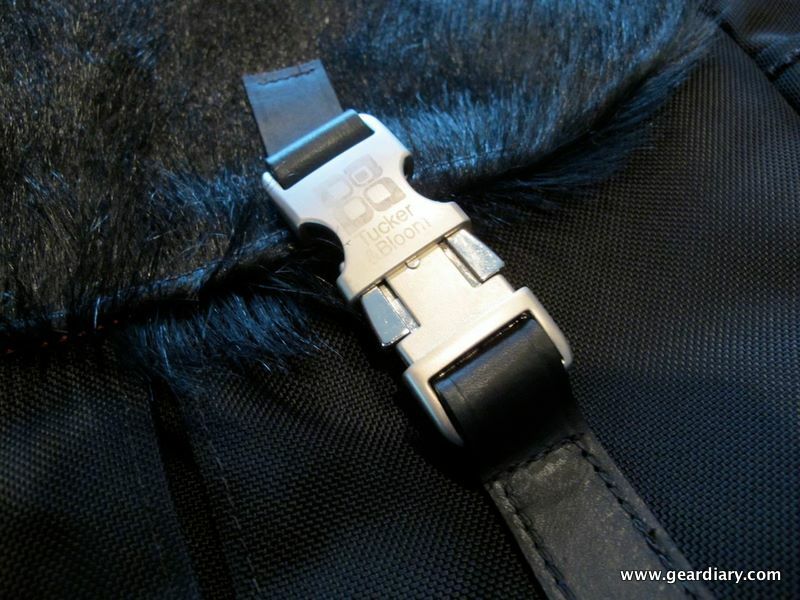 The bags locks closed with two sturdy, metal alloy, quick release buckles. I was able to comfortably fit my “daily-driver” gear inside the bag and still had some room left over. For my every day use this bag is the perfect size. It’s large enough to hold the stuff I need on a day to day basis and still have some room left over. If I was traveling for an extended period of time I’d probably have to go with something a bit larger but for a every day “walking around” bag it’s a perfect fit. 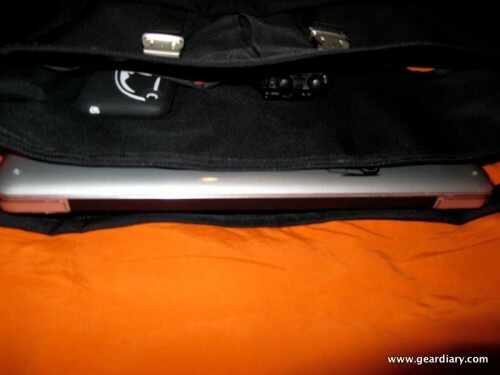 I used the bag with my 13″ Mac Book Pro which is wrapped in a Speck See-Thru case. My laptop fit with little room to spare so my belief is that any laptop at 13″ or 14″ should work but anything larger will not. How does Larry G. feel about the East to West? Watch the video below to find out. I’m sure there’s a saying that goes something along the lines of “a sense of style doesn’t come without a hefty price tag.” If there isn’t there should be. Because while the Tucker and Bloom East to West might be stylish, at $250 it’s not cheap. While I don’t know very many messenger style bags that garner a price tag as high as this one, but I’ve got to give the East to West it’s credit. The bag’s construction is top notch. It’s sturdy, roomy and carries quite comfortably. This bag may not fit into everyone’s budget but for those that can afford it and are yearning for a bag that breaks free from plain Jane black on black nylon, this might be worth checking out. My biggest complaint with the bag is the warranty. According to the Tucker and Bloom web site their bags come with a 1-yr. warranty. For the price they are asking this bag should come with no less than a lifetime warranty plain and simple. Other bags of the price point do. Please let “Larry G” know that as a result of his comments on our warranty we now offer a “lifetime” warranty. 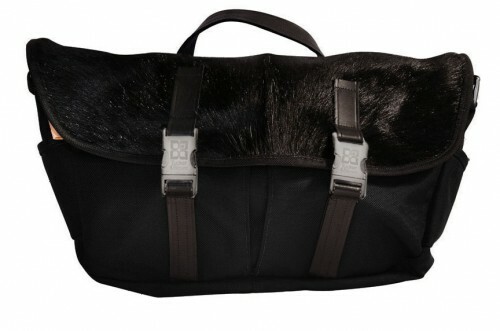 You can find out more about the bag here. What I don’t like – Expensive. Style might not be for everyone. Warranty does not fit price.